Social media has spread on ferocious speed. No one can stay out of the wave of social media, and there’s no need to stay out. We designers can use it in our favour; it can be a great tool for us. So here’s a guide of using social media for designers. It is almost certain that social media can become an addiction. And people like us designers, who spend so much time on computers can be easy victims of this addiction. But this very social media can bring us lots of good. Today we will be learning how. This post is divided into three sections. 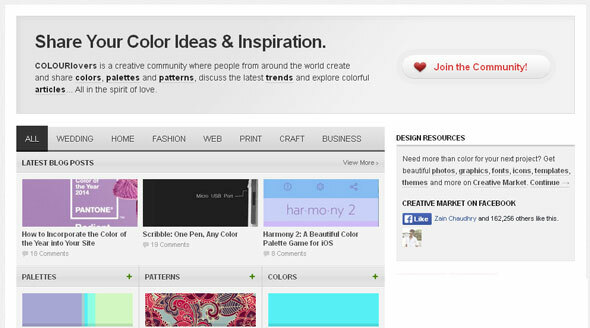 First one enlists the social networks that designers must use. Second part of the article contains good practices of using social media for designers, and the last part contains tips for finding business/work for yourself. There are so many social networks that it is crazy. And almost each year, another social media hits the internet and everyone just goes gaga and within months we forget it as if it never existed. But some, such as Facebook and Twitter have survived the tests of the time and they seem to be here for good. But today, we won’t be talking about them. Of course you already know how Facebook or twitter or LinkedIn works, so there’s no point on describing their uses. These famous social media networks will be covered in the next section where we’ll be learning good practices of using social media. At the moment, We listing some of the specialized social media networks for designers. Let’s begin with the famous and obvious one. 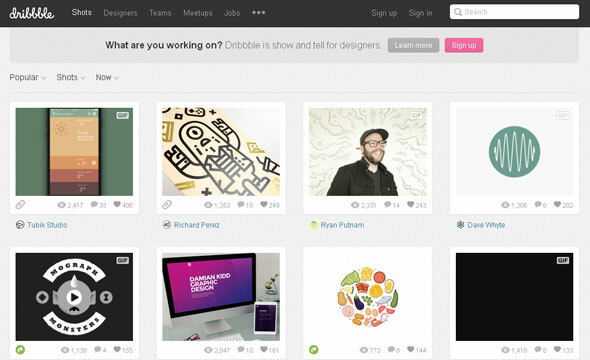 Dribbble is one of the most popular social networks among designers. In fact many designers use it as their portfolio page. It also lets designers and photographers to interact with each other and share experiences. This is a new, unheard of social media app that’s just come up in the scene. Idea is simple. 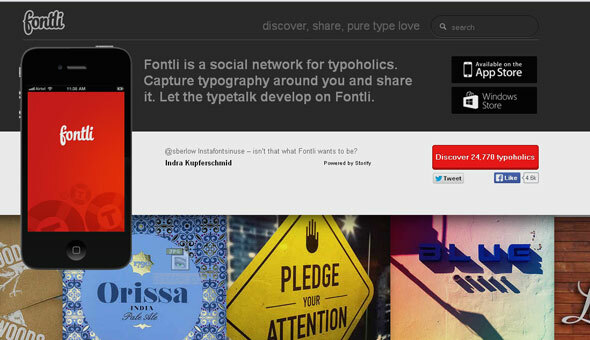 It lets designers to capture typography around them and share it. 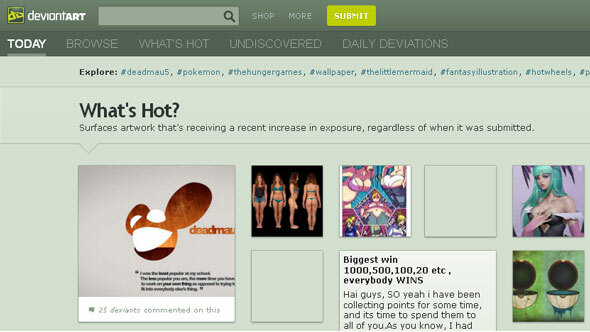 Another one of the very famous and very popular social media networks for designers. To an extent, it can be called a Dribbble alternative. Technically, this is not a social media but a forum. But it can really help you if you are a beginner. 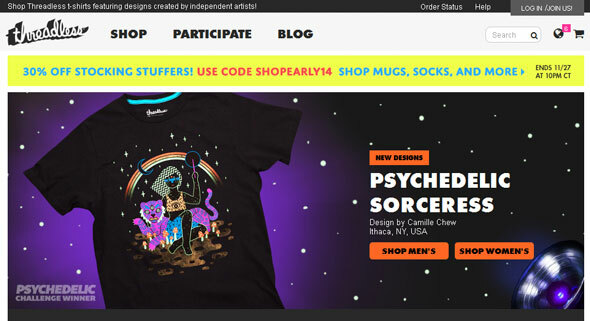 Threadless has a system where you can submit a design and other designers present their critique. If you want to grow as a designer, this is really a good place to be. Just like Fontli (second in this list), ColourLovers is an exclusive social media for designers where people share their color ideas and other color related stuff. Their main audience consists of artists, but designers also love it. A major reason for loving it so much is that it DeviantArt is the home to lots and lots of free resources, such as Photoshop brushes and vectors and tutorials and fonts and so much more. These practices we’ll be discussing in this section are not limited to designers only, but it is rather important for designers to follow them. Why? I’ll describe it in the next section. If I start describing everything right here, the article will become confusing. As we discussed earlier, social media can be addictive. We need to know when to stop. We need to understand that our real fun lies in meeting real friends in real life. That being said, social media is an important mean of communication and staying connected. We just need to know how to keep things balanced. We, the people who spend hundreds of hours every month staying hooked up to our computers, can easily get addicted with social media. One thing I learned to avoid this addiction is not using social media on weekends. If it’s a holiday, I’m meeting my friends or family, I’m staying home. I do anything but I don’t use social media. It refreshes me, you should try it too. Be helpful. Whenever you think you can help someone with your knowledge, make sure you don’t miss the opportunity, and let karma take its course. Don’t try to sell things. Share them. The idea is that you need to be popular, and you cannot be so if you are only trying to sale things. People who give out things for free, even it’s just their time, it means something. But if you are always trying to get yourself hired or trying to get your products sold, you will not be popular. Patience is critical. People on internet have all kinds of opinions. And there are people incredibly genius and incredibly stupid. You must stay patient with all kinds of people. One thing that’s rare on social media is that people often misbehave. You need to be different to be popular. You need to be exemplary. Keep your profile publicly readable. You need to do it so that everyone can know who you are, what you do and how good you are at it. Being a designer, it is essential that you let all your profile visitors know about you. Update your profile regularly. The statuses that you share for public also need to be frequently updated (after every couple of days) so that people who stumble on your profile can know that you are active and ready to go. 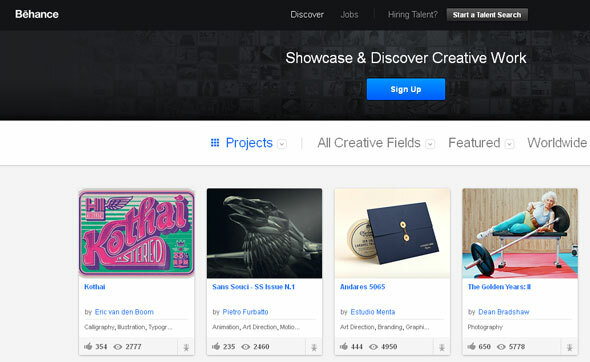 Dribbble and Behance are must sign up. At least one of them. But that’s not enough. You should have your complete portfolio publicly visible on Facebook as well. That’s very important! Potential clients don’t visit Dribbble, they visit Facebook. They are likely to find you via a forum or group or a page or someone’s recommendation but they are signed up on Facebook so they will be assessing you based on your Facebook profile. Make sure your Facebook profile is well geared up to meet them. This is the most important thing. You need to let people know that you are there. You can engage with designers and businessmen. You can engage with students and gurus. You can engage with anyone and everyone. You need to engage especially with people of your industry, and people who can become your clients tomorrow. For engaging, you can join forums, groups, etc. etc. etc. One thing that can be forgotten is that even though you are there to make yourself felt, you must be humble and generous. Your target must be to help, to inspire or to aspire. When you help people, they like you, they remember you. They try to return the favour and you will not believe what little acts of kindness can do. If you are a designer, it is likely that your first target market is your local area. So make sure you mention your locality on your profile and you list yourself on all the designer directories you can find online. The crux of the whole article is that there are two main benefits you can derive from social media. First is inspiration and information. Inspiration helps you to be more creative and information helps you to stay updated with the latest trends and unveils the tricks of the trade. The second and rather important aspect is that your target must be to become popular. If you are popular, you will get business. If you try to make sales, no one will listen to you and you will never be a hotshot. On social media, you need to treat yourself as a brand, and you are also the PR officer or your own brand. Now your target is to generate goodwill of your brand. Goodwill can be generated by giving something free. You can give-out the exact things that you receive: inspiration and information. If you generate the goodwill, I assure you, the business will come and you will also make good, very good friends. Good friends and good business, what else can anyone want. How Social Media Platforms Are Helping Mobile App Developers. This entry was posted in Applications, Resources and tagged Social Media. Bookmark the permalink.